mk1-forum.net • View topic - How old is the average forum member?!! How old is the average forum member?!! Post subject: Re: How old is the average forum member?!! Bodmin Moor could be scary at night in the Fog with my £95 x Moggie Minor,s headlights performance. Its a great story what happened to the car Peter. Subframe rotted and broke , I welded it , but it broke in a different place !! Well rotted and it was nearly out of MOT ,time to get rid ,But how do you trade a car that's leaning on the rear offside and no MOT , Hmmmm fit a coil spring over the shocker just to level it up and kid the eager car salesman on , That's what i did , traded for £125 against a new MK2 , never told them about the MOT until they asked for it , Said it aint got one !!!!! ,WHAT !!! !, Who agreed this sale without checking if it had a MOT shouts head saleman ,Young eager salesman say's it was me ,But it was to late for them to do anything because i had signed all the documents including the Hire Purchase agreement and i had got the keys, head sales man said what ever it cost to get a MOT you will after pay for it , I just smiled and walked out of the show room and jumped in a brand new MK2 in Jan 1968, never heard a thing from them , So i guess Peter the car was scrapped , So for once a car salesman got ripped off Yes 1941 ET will be worth a few grand today. I was born in 1974, I can remember in the early 90’s jumping in my yellow 1275GT with 3 mates and driving to Newquay for a week. We left Northamptonshire fully loaded with a cut down mini trailer on the back. We rented a house and drank Newquay dry..on the way home we went to Avon park mini show, we camped there drank more and I raced the GT. We headed home on the Sunday night cluch slipping and completely done the new set of green stuff pads I’d fitted a week earlier! 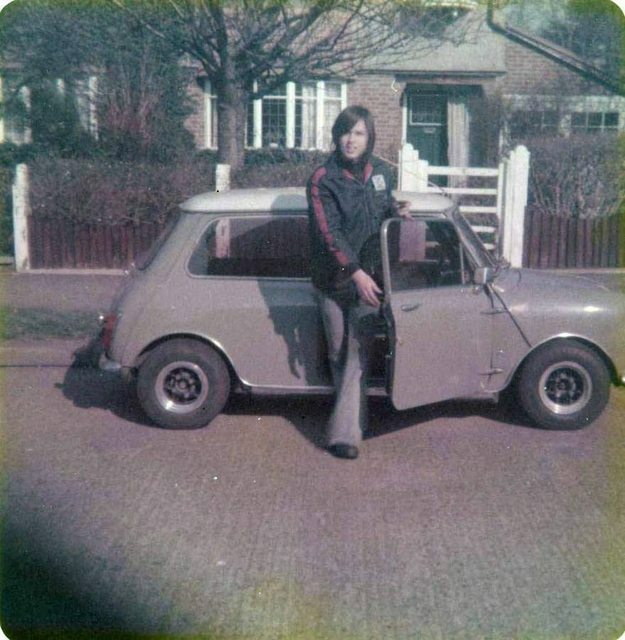 Some old photos of me age 17 with flared jeans, BL Rally Jacket and my first 850 Mini below.....back in 1974! 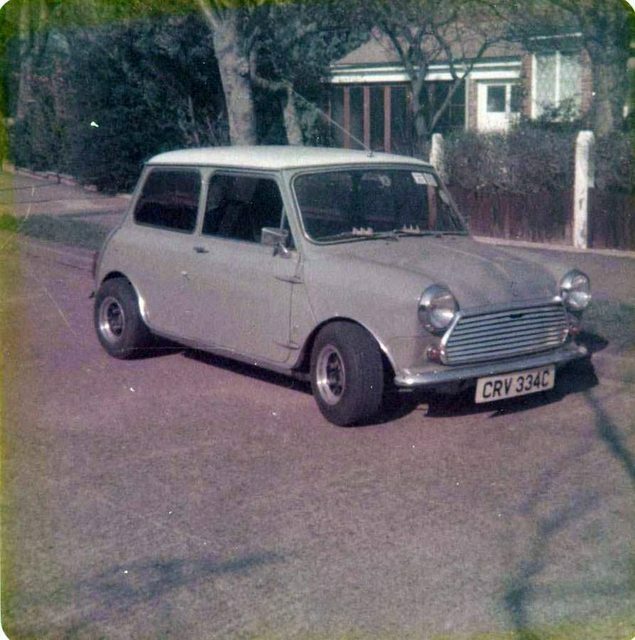 A few months later with 6x10 Mambas, 165 Goodyear Rally Specials, Tilling winding windows, Mk2 grille and rear lights fitted, plus V.Plas headlamp rims from one of many regular weekend visits to the local breakers yards full of scrapped Mk1/2 Minis and BMC 1100/1300's. 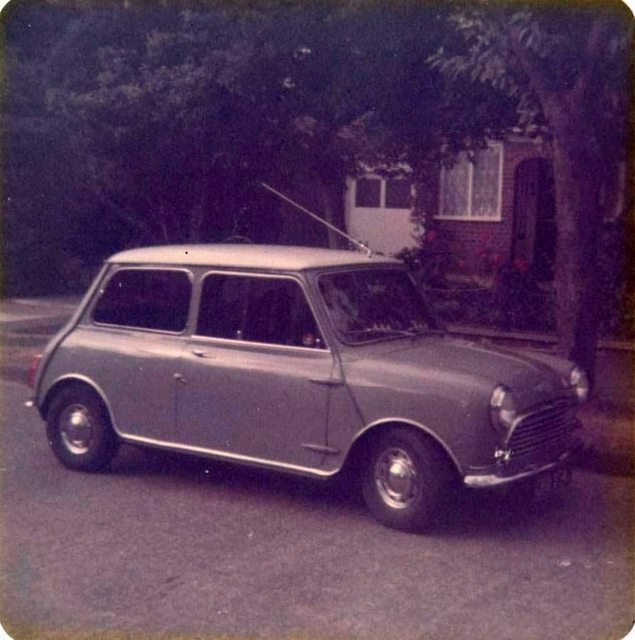 My first trip to Newquay was in 67 in a 1961 Mini 850 with saggy back subframe and after-market wing mirrors that I couldn't actually see anything in. 12 hours of patchy fog, driving through the night to arrive at 9.00AM. Then to put up the tent and get the frying pan on. I don't think I have any photos but my memories are of being very uncomfortable in standard Mini seats. (I was skinny then and my bones stuck out). My other memory is of seeing so may people from Sheffield who I knew.It was like South Yorks on tour. I even saw my MP ! I am 48 years old, but here is a photo from 1988, me second from left with the ‘blues brothers’ t-shirt. 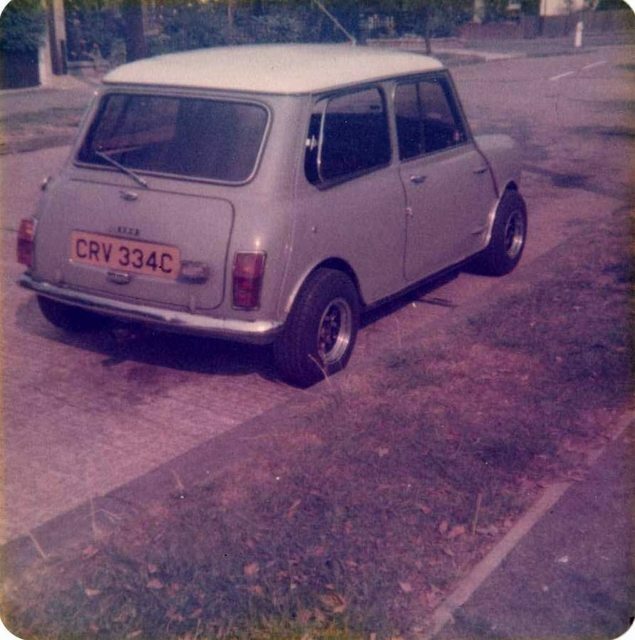 We bought this Mini 1000 (not a Mk1, obviously) with a month of MOT for £150 and I patched it up enough to pass for another year. In that time we chopped the roof off and use it as ‘designated driver’ transport to and from the pubs around Cambridge. It’s 30 years ago, but I think the reason it’s on its side in this photo is because we were taking a look at the sills, to decide if it was strong enough to be cut in half and welded back to create a ‘shortie’. It wasn’t - too many soft spots and previous patches. At the end of the year, all the mechanicals were broken up to be used as donors for keeping other friends cars on the road, and I hauled the remainder of the body shell and subframes to the county council recycling yard in a farmer friend’s pig van. Last edited by iain1967s on Thu Apr 26, 2018 7:56 am, edited 1 time in total. What a great story Goff! I once drove from Sheffield to Bristol airport, hopped on a plane to Hamburg to see an air hostess for Lufthansa, and did the reverse trip the next morning. That was worth it. £49 return on Easy Jet and I didn't even have to buy her dinner. This is probably the best thread on here yet. Keep it coming! you must have done a good job! Buying dinner after you've got your leg over - that's new concept....I like it.